We previously talked about how weird it was to review two figures of the same character from two different companies; but how about two different characters from one company played by the same person? 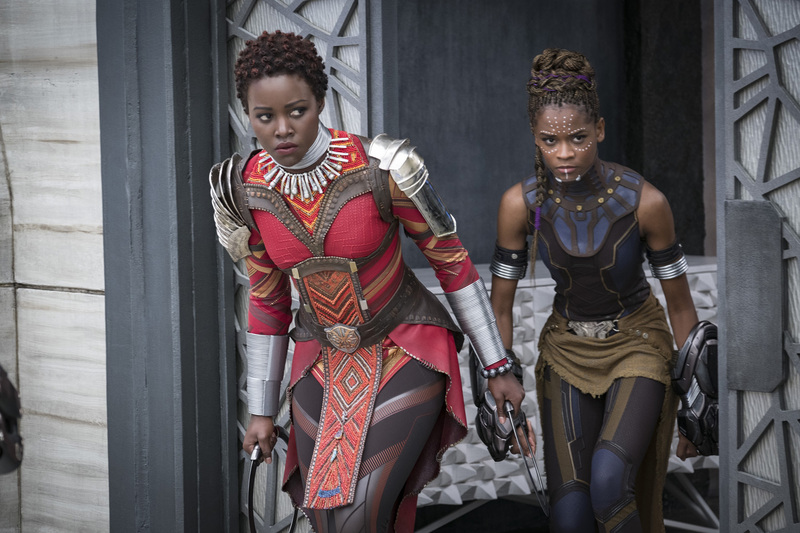 A member of the Dora Milaje, Nakia protects the reigning Black Panther with strength and poise. That is... not entirely accurate. Nakia was a member of the Dora Milaje, but she left them (and thus, her job directly protecting the king) to be a covert operative, protecting Wakanda's interests in the world at large. That'd make her a member of the Hatut Zeraze (aka the War Dogs), who are basically Wakanda's version of the CIA. She's not a bodyguard, she's a spy, and while she may have "strength and poise," she's more about the "subterfuge and not-being-noticed." At least, until T'Challa calls her back after the events of Civil War so he could flirt with her she could be there for his coronation. Time to come in from the cold! Nakia was played by Lupita Nyong'o, just like the figure we reviewed yesterday. Of course, this time we get to see her real face, and the toy takes advantage of that and the new face-printing technology to really capture her. The hair, sculpted in Nakia's "Wakanda knots," is actually molded separately from the rest of the head, for better realism. 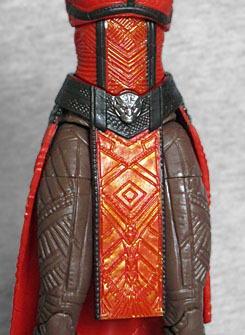 While she spends most of the movie wearing green, she eventually got her Dora Milaje armor back, and that's what this toy shows us. Ths sculpt is startlingly intricate, from the thin, reedy bars that form her necklace to the overlapping straps that her boots are made of. The dress has a geometric pattern sculpted over everything, and her leggings do too. There's a plate of armor on her right shoulder, and her forearms are protected by either banded metal or an entire stack of bracelets. The paint could be better, however. Despite what the stock image on the back of the packaging shows, her legs are painted nearly the same color as her face, so rather than looking like she's wearing brown pants, it looks like she's bare-legged and rocking some pretty serious scars. That's poor planning on the designers' part - or, since it's better on the proto image, whoever approved the samples from the factory. Look at an image from the film, and you can see what her legs should actually look like, and spoiler alert: it's much darker than her skin is. Nakia is armed with her ring blades, same as the Minimate. 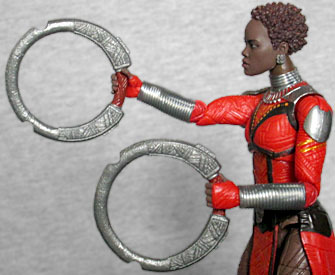 The idea behind them is that she's more open to new ideas than the other, more traditional Dora Milaje are - so they use spears, and she uses these things. They're different than the stock photo, too: there, there were coils of some sort just in front of the notches on the blades, while the final product has nothing like that. 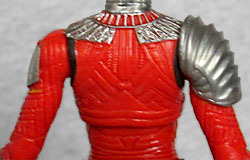 Still nice detail in the sculpts, regardless. 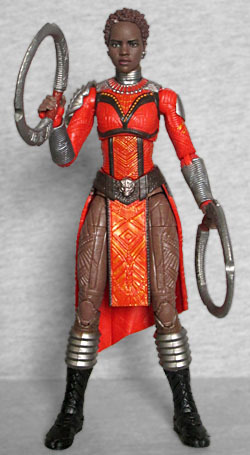 This figure includes a lot of the Okoye Build-A-Figure: not just the entire torso, but also her spear and whatever you want to call her off-hand weapon. A dagger? Short sword? Something. One large bodypart, two weapons - a lot of BAF pieces! Pretty much everything about Black Panther was excellent, and Nakia was no exception. This figure has some paint issues that could really stand to be corrected, but the sculpt is something to behold.